The all-time classic book pack for uni, office and travel. 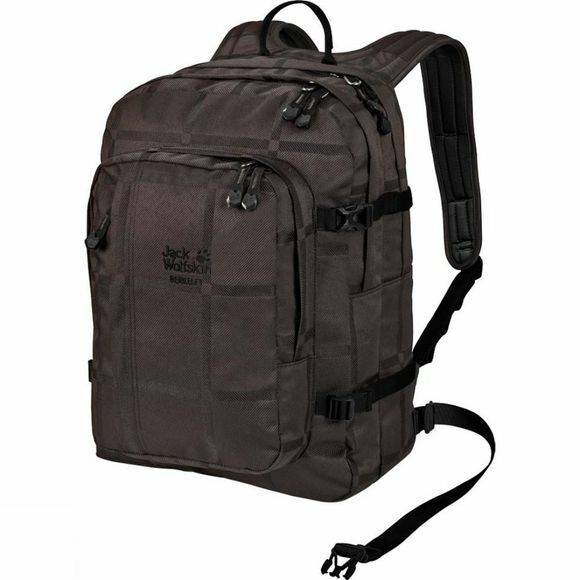 The Berkeley Yarn Dyed Rucksack from Jack Wolfskin is made of an extra robust fabric and has a special woven structure. The pack is reliable, comfortable and very compact. It's specially designed to carry books, documents and A4 files. There's tons of room for these in the two main compartments. Alternatively, it will also carry your shopping or your gear for a weekend trip and it's really comfortable, too, thanks to the Snuggle Up carry system with its wide shoulder straps and even load distribution. The structure of the fabric, which has been woven from different yarns, gives the pack its signature look. The yarns are pre-dyed before they are woven.